The fingermarks were then graded for the presence of ridge detail on the University's BVDA gel imaging scanner and 89 per cent of the visualised gelatine lifts examined produced clear ridge detail. This means that law enforcement agencies will, potentially, be able to use the mark to identify persons of interest who have come into contact with the scale. Dr Nicholas Pamment, who runs the Wildlife Crime Unit at the University of Portsmouth, said: "This is a significant breakthrough for wildlife crime investigation. Wildlife trafficking is a significant factor in the loss of habitats and species. While forensic science techniques are being used as part of the investigation process, there is a lack of research looking at 'what works' in the context, or within the limitations of the wildlife crime investigation and in the environments where the investigations take place. "What we have done is to create a quick, easy and usable method for wildlife crime investigation in the field to help protect these critically endangered mammals. It is another tool that we can use to combat the poaching and trafficking of wild animals." Christian Plowman, Law Enforcement Advisor for ZSL, said: "This project is a great example of how multiple organisations are working together to not only develop methods that work, but to optimise the methods for use in wildlife crime investigations. "The initial catalyst for this project were Dr Brian Chappell (University of Portsmouth) and I, both former Scotland Yard detectives, now working in conservation law enforcement for ZSL and the other in academia. This point of uniqueness underlines and enhances credibility for the project and for both organisations." Grant Miller, Head of the UK's National CITES Enforcement Team, said: "We know how prized pangolins are by those engaged in wildlife crime. 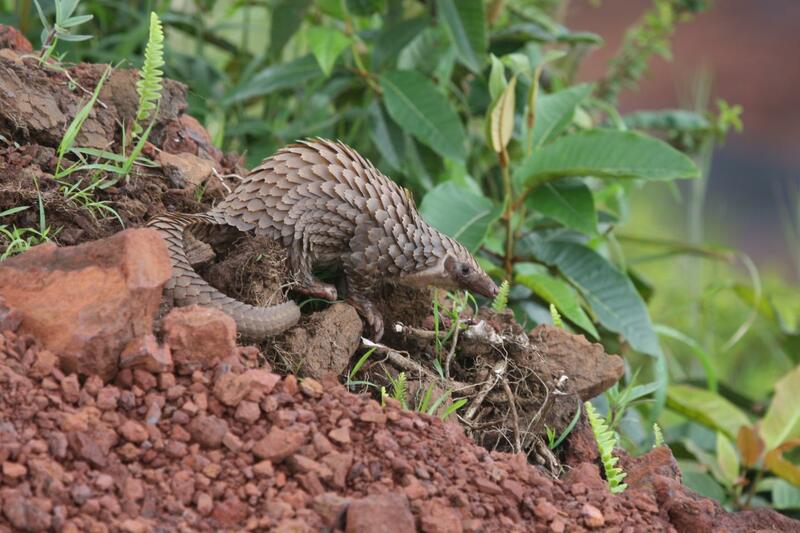 I am delighted that Border Force has been able to play its part in the development of this method of lifting fingermarks from pangolin scales, technology which will help bring poachers and smugglers to justice." Jac Reed, Senior Specialist Forensic Technician at the University of Portsmouth, said: ""What is fundamental to this method is its application, it is easy to use and employs low-level technology. This is so important for rangers in the field who need to be able to get good quality fingermarks very quickly to ensure their own safety. It is also important for law enforcement in developing countries who may not have access to more advanced technologies and expensive forensic equipment."